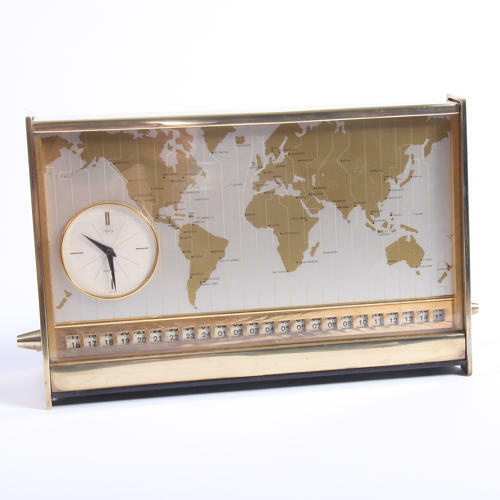 A fabulous brass desk world clock made by Asprey. Showing the different time zones across the world, with handles at either side to adjust. Battery operated.